South Sudan is in the throes of a tragedy for children that affects more than half the child population. 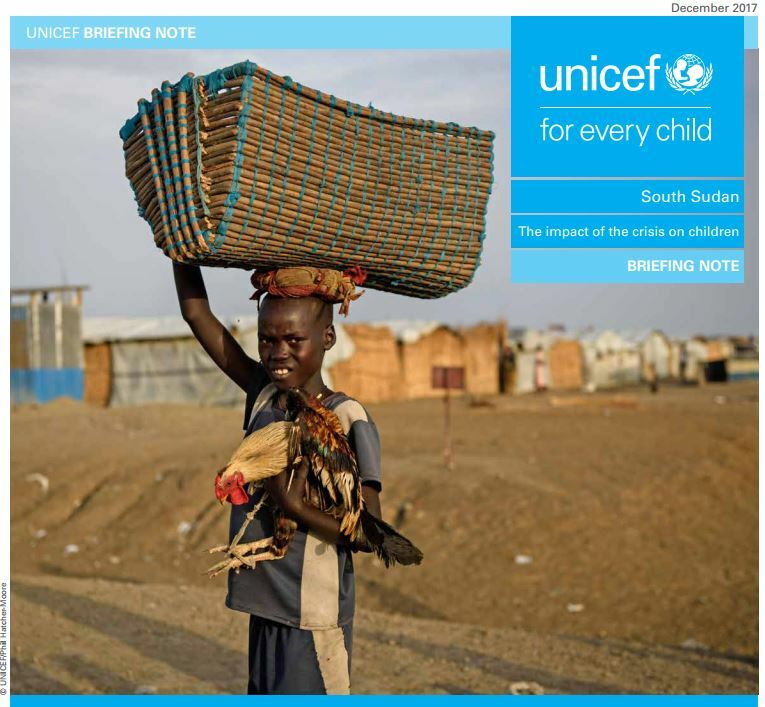 Childhood under Attack highlights the multiple deprivations and violations that children in South Sudan continue to endure, and warns that increased funding is essential for UNICEF to provide critical assistance to children and women in the country. In releasing Childhood under Attack, UNICEF warned that new funding is essential in order to provide critical assistance to children and women. In 2018 UNICEF requires USD 183 million, and currently has a funding gap of 77 per cent (or USD 141 million).